Against a background of accelerating change, Farrells work with the GLA on 21st Century High Streets, across London, and most recently with London Borough of Sutton on Sutton High Street, has demonstrated the pressing need to re-consider the role of our High Streets. At a time of significant and rapid change high streets need to adapt and change with the chang-ing world about them. The internet, smart city technologies and autonomous vehicles have and will dramatically change the way we live. Similar to many high streets across London, the course of our work in Sutton saw Toys R Us, Maplin and PoundWorld close. There are further threats to one of the adja-cent Asda and Sainsburys food stores, if their planned merger is achieved. A smaller high street also faces competition from the larger shopping centres where new retail investment is tending to get concentrated. In Sutton’s case, this is both Kingston and Croydon, the latter with its forthcoming Westfield. own analysis and thinking has moved on. going to capture in this article. Settlements have been evolving for at least 6000 years if not longer, but we seem to have learned very little about making good ones. The present crop is so focused on housing that places for the cultural diversity of contented citizens seem long forgotten. Civilised Quality New Settlements are Places to Live, Work and Enjoy, rather than merely be beautiful places to visit. They must not be the husks of half-forgotten rules and codes but the spirit that embodies them. 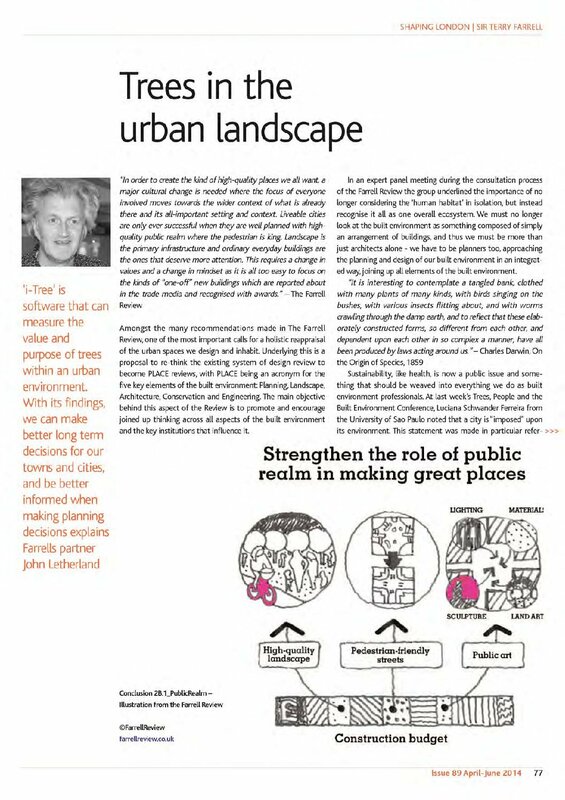 True and quality placemaking responds to underlying spatial significance e.g. history, topography, environment, connections, convenience and community in order to make a legible and coherent visual strategy, otherwise the simple question of what happened where and what goes where are not adequately answered. Also, the necessary ambition for a new settlement is lost. 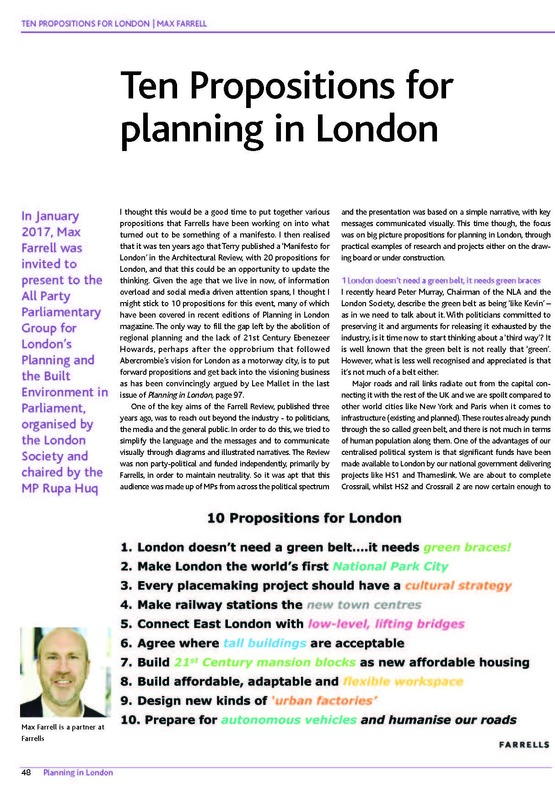 The pressure on London’s housing, workplaces, leisure and services is evident. 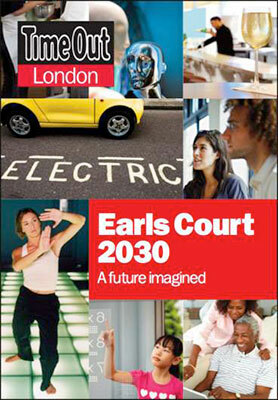 We have all heard the latest numbers for London’s growth: increasing population of 10.8 million by 2041, i.e. +20 percent – with a demand for 19,000 new jobs and 66,000 additional homes to be created every year, all in a constrained and limited land area. In dynamic cities such as London, change is imminent. The clear practical distinction between uses; residential, industrial and entertainment, is slowly disappearing. 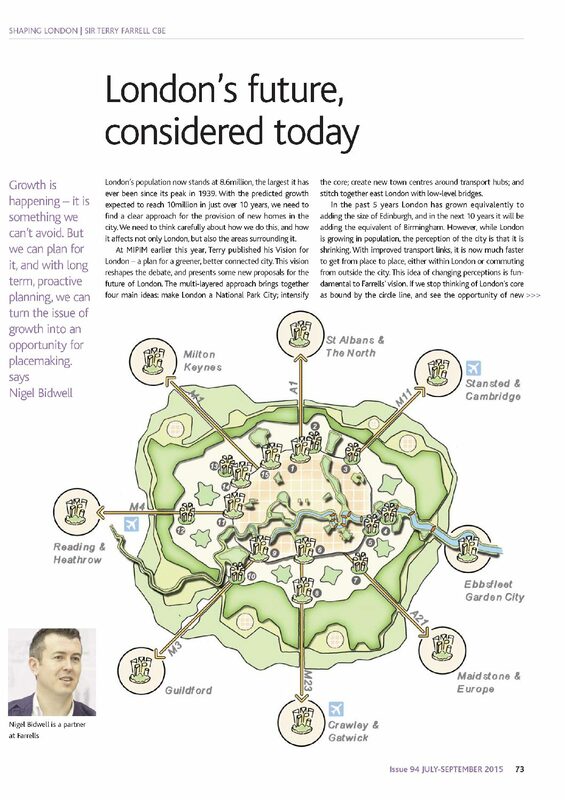 London could drastically change in the future; live, work and play could be further blurred. 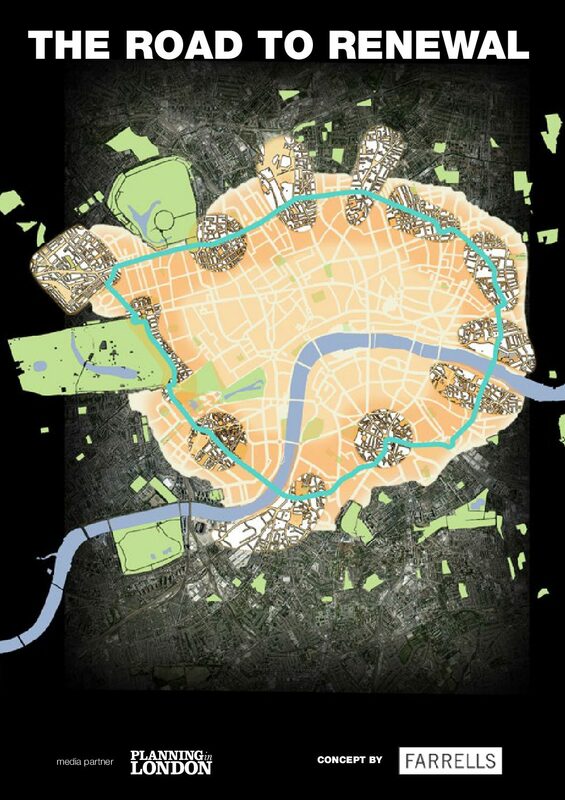 So, what is the new pattern for London’s urban growth? 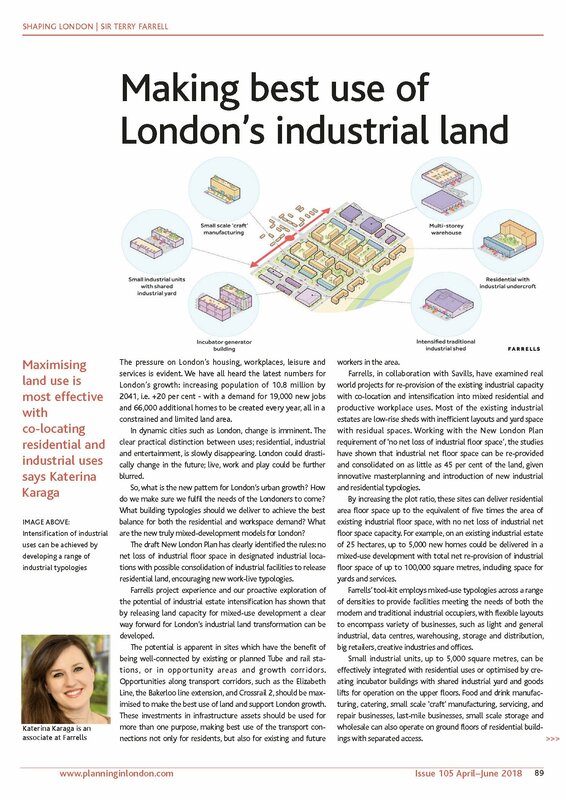 How do we make sure we fulfil the needs of the Londoners to come?What building typologies should we deliver to achieve the best balance for both the residential and workspace demand? 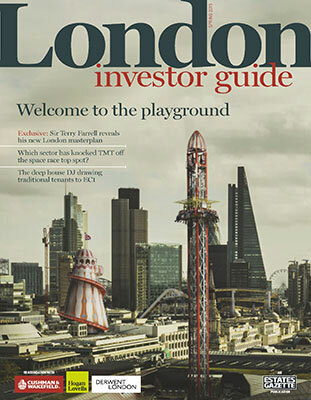 What are the new truly mixed-development models for London? 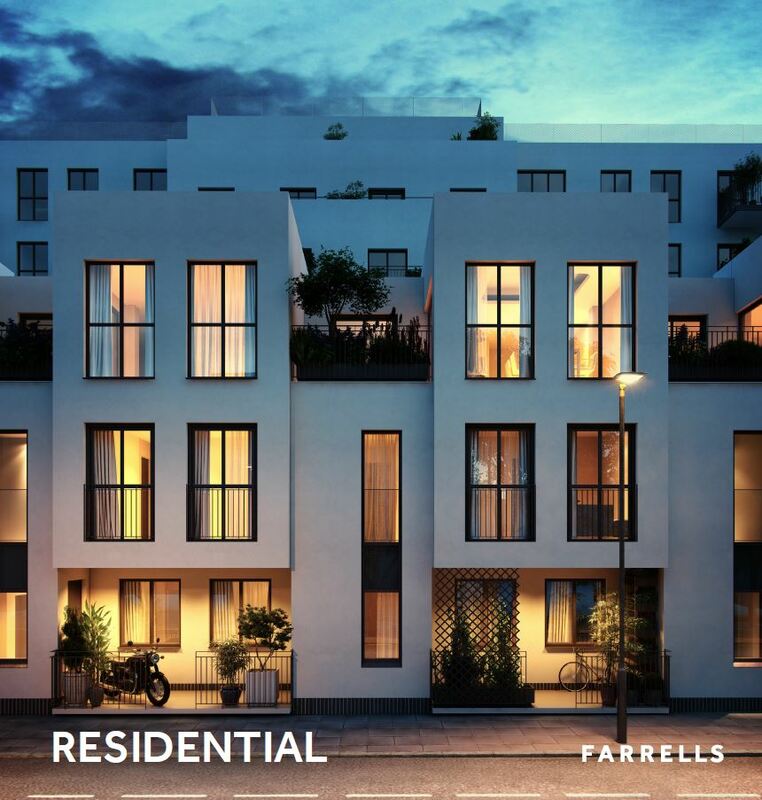 Farrells are internationally recognised architects & urban designers. We have designed award-winning buildings and masterplans throughout the world for over half a century. Our specialism is high quality, mixed-use urban complexes, often based around transport interchanges. We are responsive, imaginative and skilled in design and have a passion for environmental sustainability, using resources wisely and creating resilient communities. 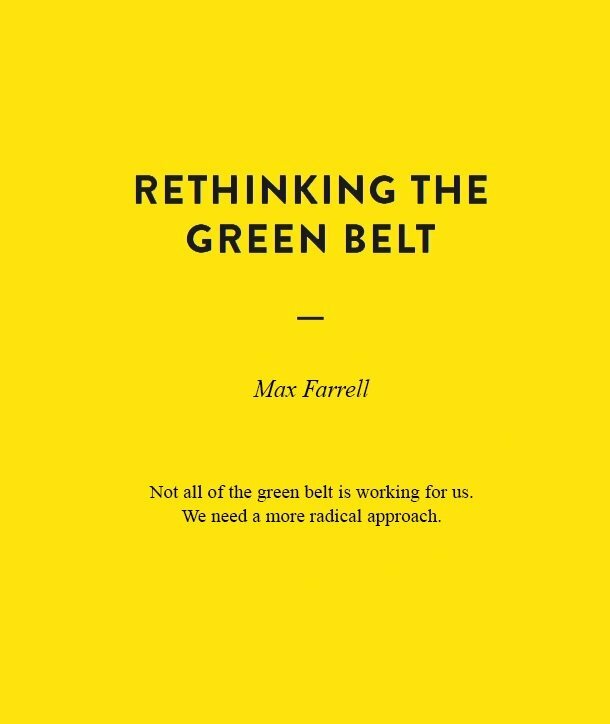 For over fifty years, Farrells has championed place-making, the public realm and world-class masterplanning, leading to the government commissioned Farrell Review of architecture. Our unique collaborative design process results in places where landscape is the first infrastructure. We are acknowledged as the country’s leading architect planners, implementing truly mixed-use environments with high quality public realm, always creating memorable places that people want to live, work and play in. Farrells has a proud 50-year pedigree of delivering housing that works brilliantly at every level and for every stakeholder. A globally recognised leader in the realm of masterplanning and urban design, Farrells understands what makes a space a place: A plot is a community; a house is a home for someone to spend their life in. Furthermore, projects truly in tune with the local culture and context create greater long term value, for investors, residents and the wider community. This core belief is utterly consistent with the origins of Farrells 50 years ago, challenging the then orthodoxy with a ‘bottom up’ rather than ‘top down’ view of how architectural work is approached. This ethos remains critical today in a world where local identity is becoming increasingly important and evermore valued. For this to happen, though, we match the passion of our clients and work closely with them and local authorities to achieve their ambitions. This ultimately improves our work and results in projects that amplify existing heritage, inflected with modern architectural flourishes. In this respect, completion is just as, if not more, important than conception. Good schemes deserve delivery and Farrells produce working drawings for clients to see projects through from start to finish. 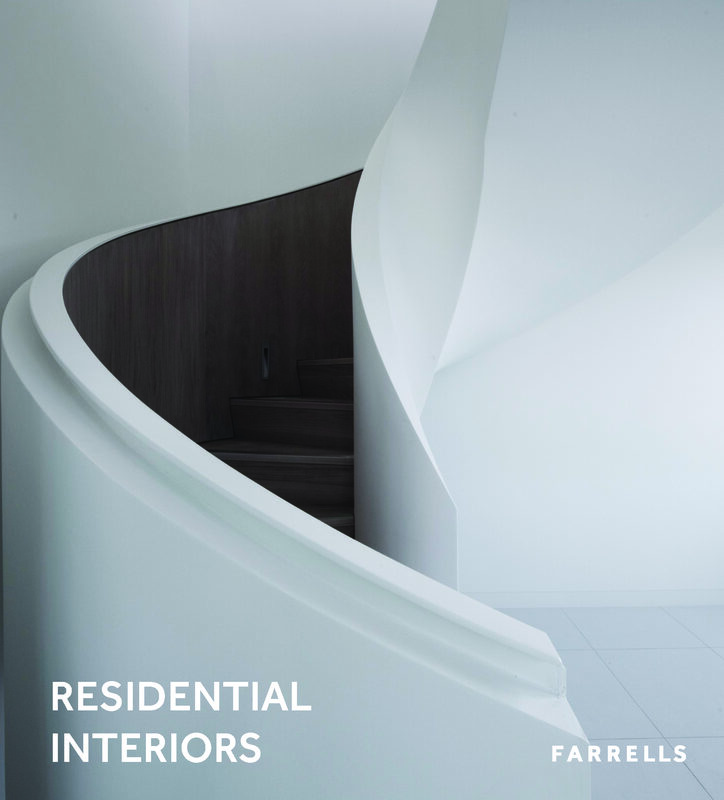 Farrells offer world class interior design with an international brand and a profound understanding of London’s residential markets. We have designed award winning interiors within our own architectural projects as well as buildings designed by others for over fifty years. 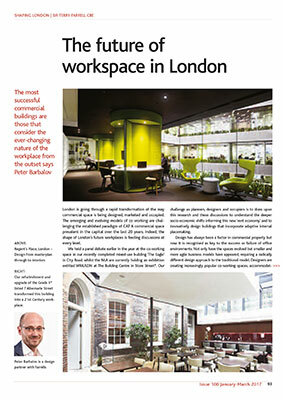 There is a radical transformation underway for workspace in London and the way it is designed, marketed and occupied. New emerging models for co-working, social enterprises and different types of ownership are rapidly changing the established paradigm of ‘CAT A’ commercial space prevalent in the capital over the last 20 years. Our challenge as practitioners, designers and occupiers is to go beyond the trend and to understand the deeper socio-economic shifts and changes informing this new ‘rental economy’. Farrells has extensive experience in this area spanning five decades. From the TVam studios in Camden (recently voted ‘Britain’s most maverick building’ by the Royal Academy) to the office buildings starting on site at Royal Albert Dock which are unique to the UK market. We have always been at the forefront of thinking about the modern workplace. Our recently established research unit within the ‘Farrells Laboratory’ at the Hatton Street Studios looks into the past, present and future of workplace design and this innovative thinking is informing our projects. 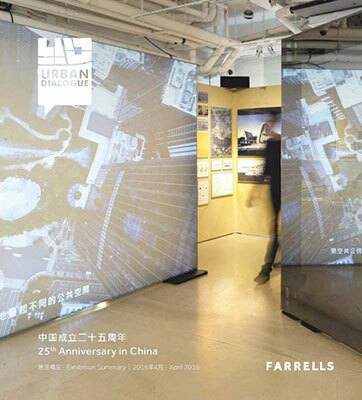 To celebrate the 25th anniversary of Farrells in China, a travelling architectural exhibition named Urban Dialogue began in Hong Kong, hosted later in Beijing, Shanghai and in October 2017 in Singapore. 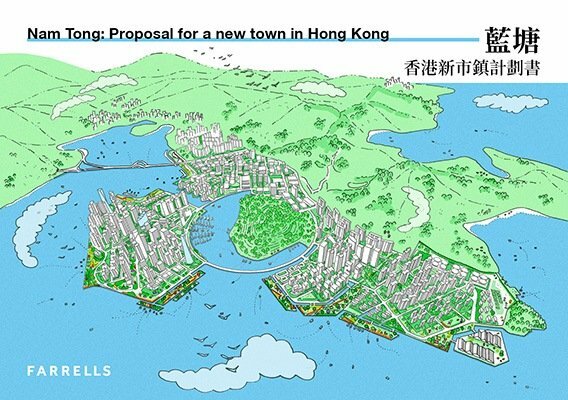 Nam Tong is a conceptual new town for 350,000 residents at the eastern edge of Hong Kong’s urban core. “These are exciting times to be a planner. City making is the biggest business of the 21st Century across the globe and urban planning has a critical role to play. There is a huge demand for the very particular skill sets required, and in particular for creative, collaborative and proactive planning led by visionary people who want to make things happen. might sell croissants in the morning and mojitos at night? Studios to the other and, arguably, all the way to Paddington. 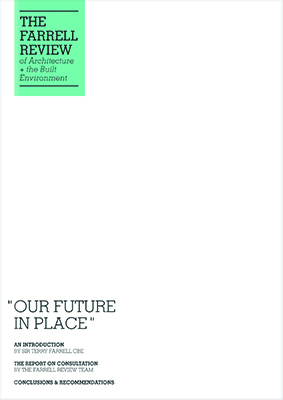 direction architecture itself might take in a post-Brexit scenario. Sir Terry and Giuseppe Parita discuss. 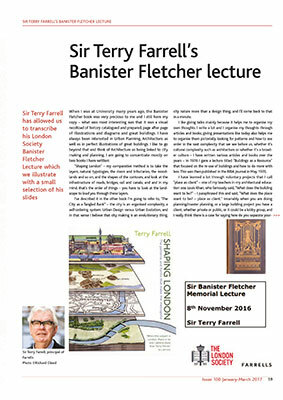 A transcription of Sir Terry’s 2016 London Society Banister Fletcher Lecture. 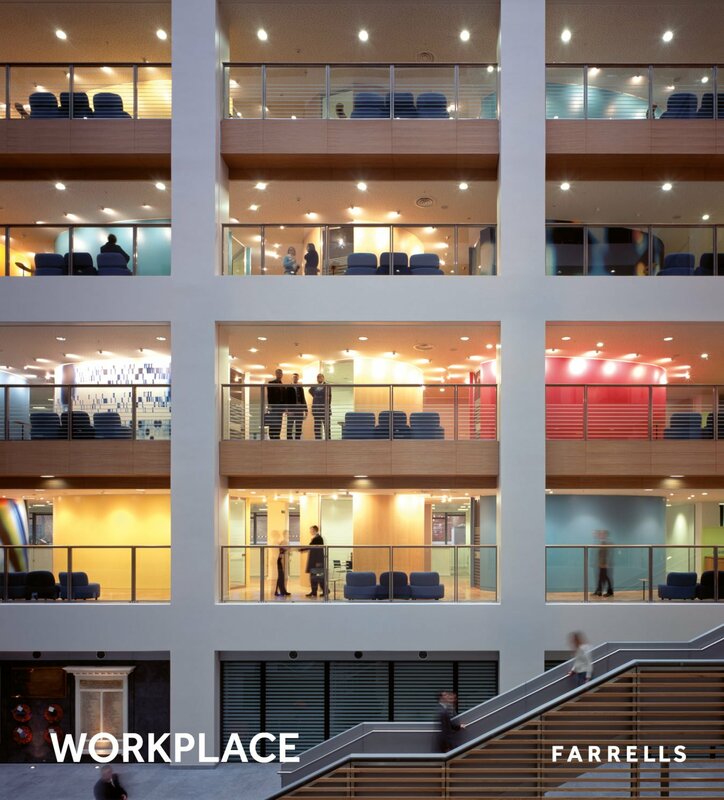 The most successful commercial buildings are those that consider the ever-changing nature of the workplace from the outset says Farrells Partner Peter Barbalov. 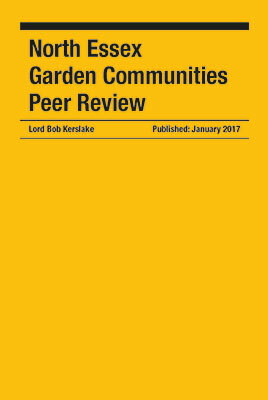 In October 2016 the Leaders and Chief Executives of Braintree, Colchester, Tendring and Essex Councils asked Lord Bob Kerslake to lead a peer review to look at their approach to delivering Garden Communities in North Essex. 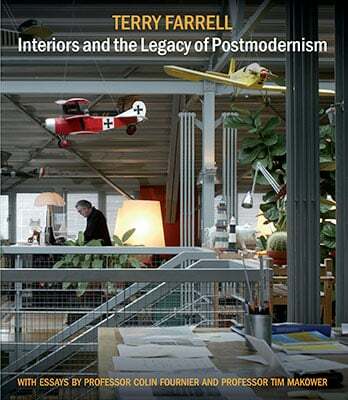 Farrells, with ystudio, supported the review. 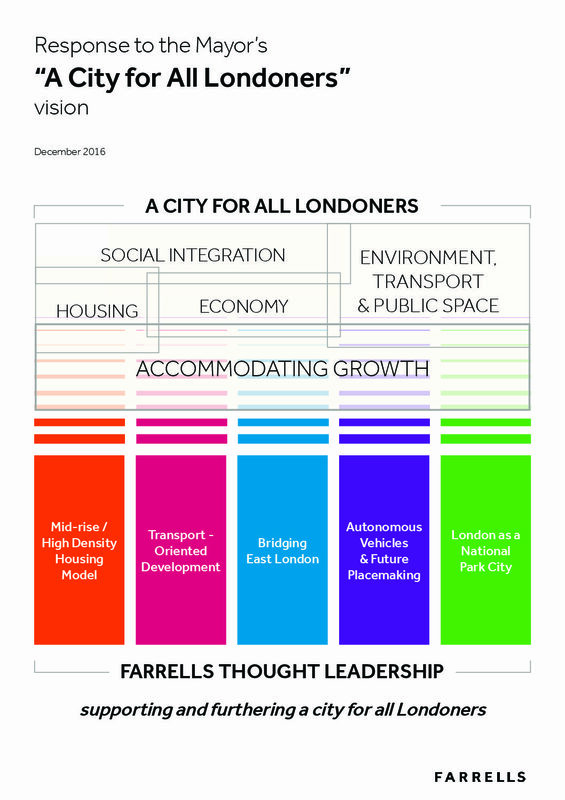 Farrells has been developing a vision for the future of London that is very closely related to the one presented in “A City for All Londoners”; all in all, we can help. 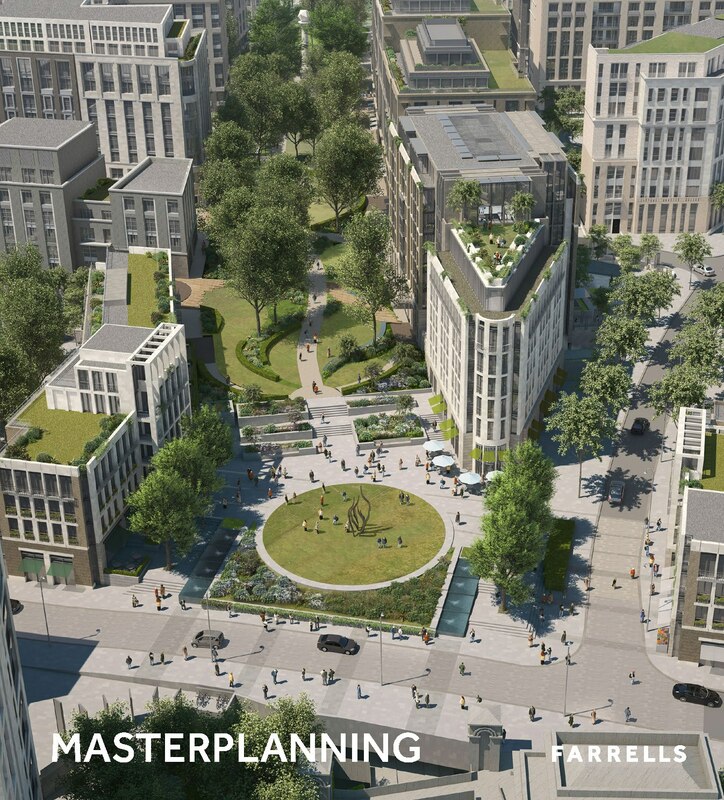 Farrells has always been a practice highly engaged with urban issues, particularly those of London, and every part of our vision builds on our extensive experience with holistic, collaborative, place-based masterplanning and urban design. 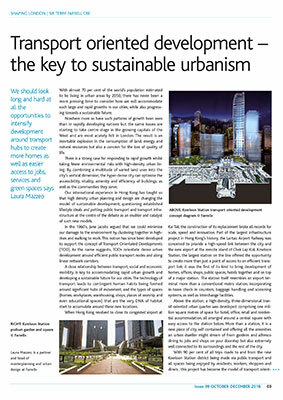 We should look long and hard at all the opportunities to intensify development around transport hubs to create more homes as well as easier access to jobs, services and green spaces says Farrells Managing Partner Laura Mazzeo. 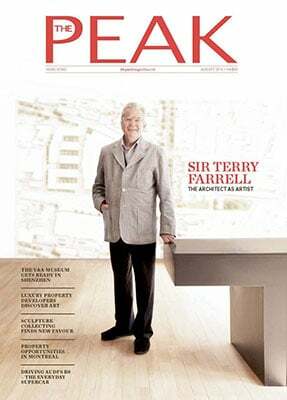 “Sir Terry Farrell is responsible for some of Hong Kong’s best known landmarks. His work is not yet done, and his fondness for bridging old and new remains the key to his thinking.” Dominique Afacan interviews Sir Terry for The Peak Magazine. 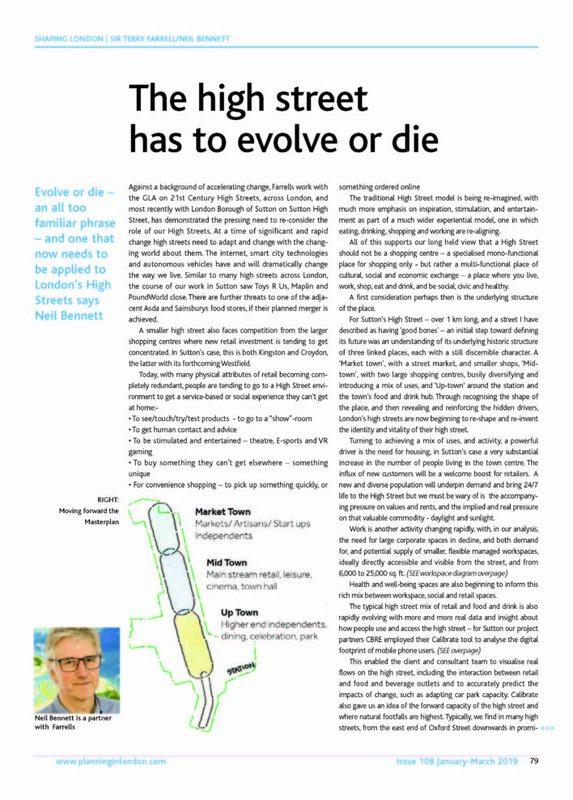 Connectivity between rural areas and urban centres would be transformed by autonomous vehicles says Nigel Bidwell. new potential for more valuable land, and additional homes and jobs. 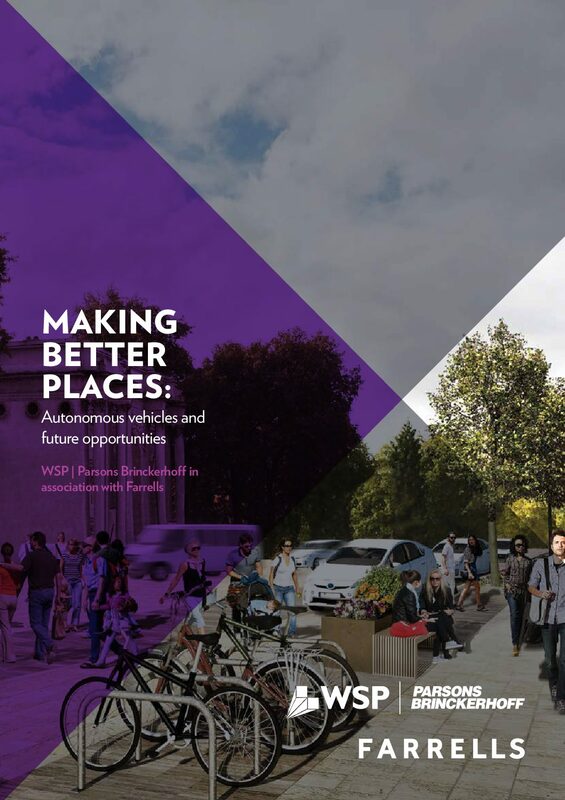 think five places in the UK might look like in an autonomous vehicle world. 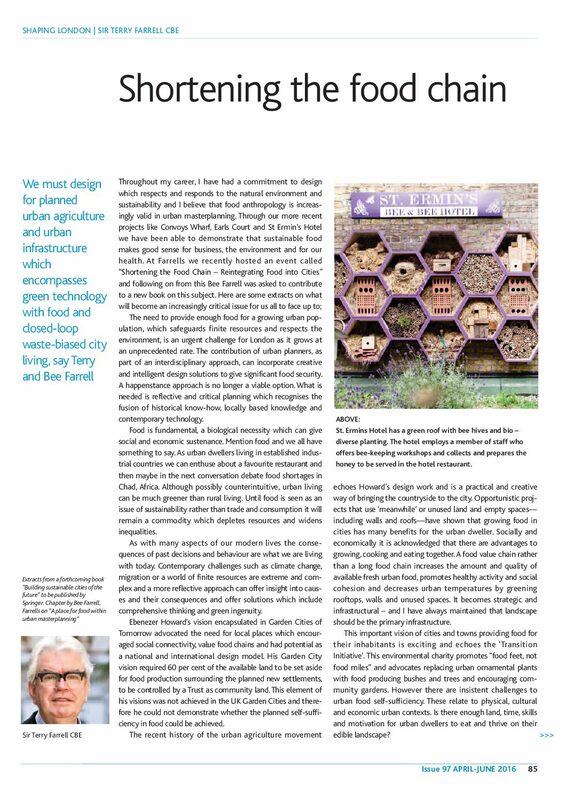 We must design for planned urban agriculture and urban infrastructure which encompasses green technology with food and closed-loop waste-biased city living, say Terry and Bee Farrell. 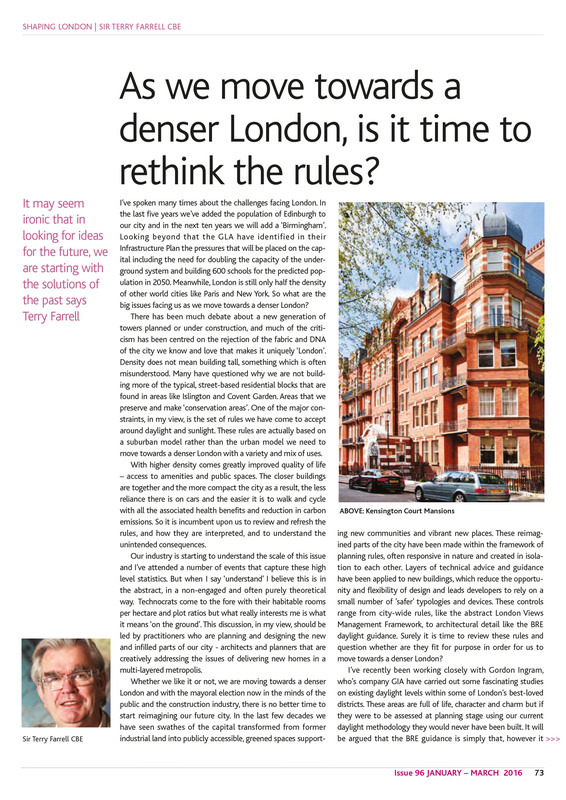 As we move towards a denser London, is it time to rethink the rules? It may seem ironic that in looking for ideas for the future, we are starting with the solutions of the past says Sir Farrell – a discussion piece on the issues facing us as we move towards a denser London. 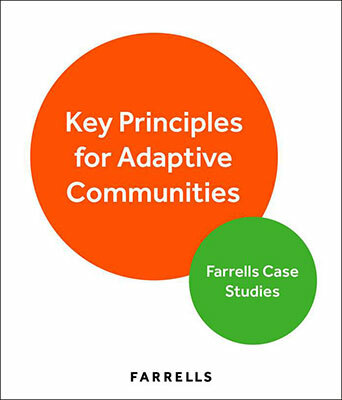 Farrells are committed to sustainable urbanism and have put together a set of key principles to create adaptive communities, using our projects as case studies. “In Art Deco style, reflecting the original 1930s building, it punctuates the Old Street grime while mirroring the colours and hues of some of the area’s more traditional stock, such as the iconic Moorfields Eye Hospital. 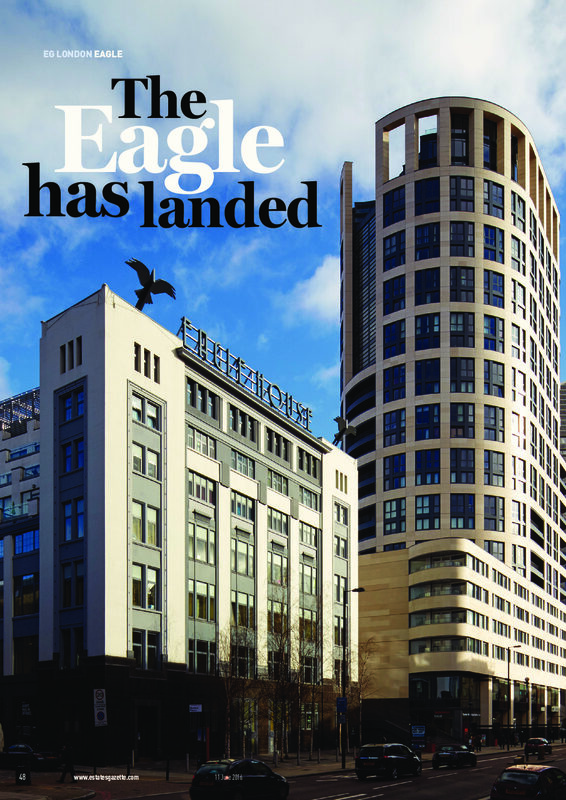 It stands out yet somehow also fits right in.” Janie Manzoori-Stamford reports on the completion of The Eagle, London in 2016. 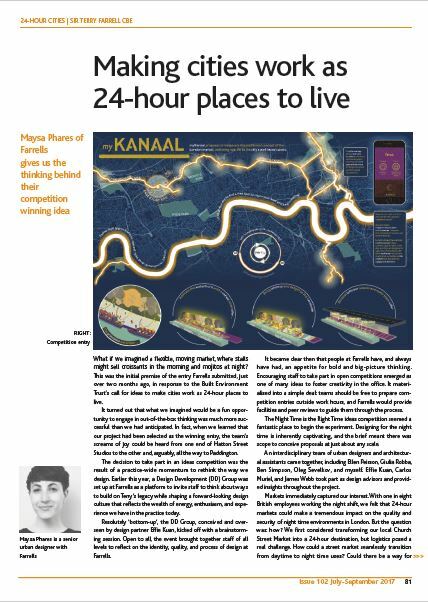 Working with Burohappold, Farrells have carried out research into the need for river crossings in East London. This is a summary of that work. 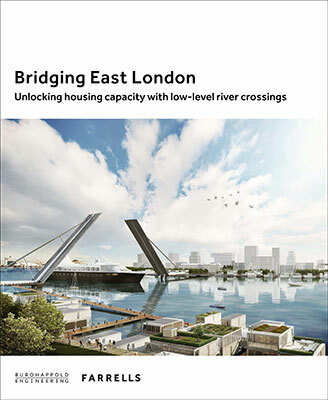 Awarded the 2015 London Planning Awards for Best Conceptual Project, the call for more low-level river crossings east of Tower Bridge is more relevant than ever. 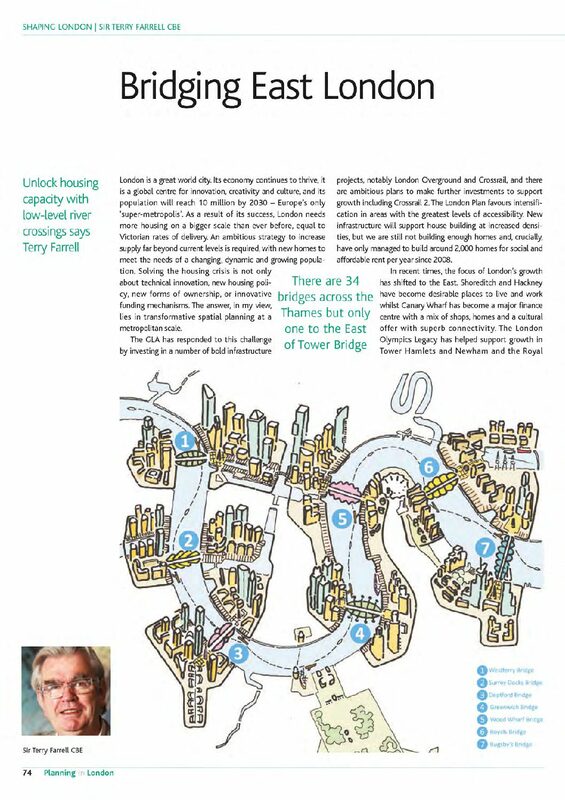 There are 34 bridges across the Thames but only one to the East of Tower Bridge – Sir Terry discusses the need to unlock housing capacity with low-level river crossings. Growth is happening – it is something we can’t avoid. 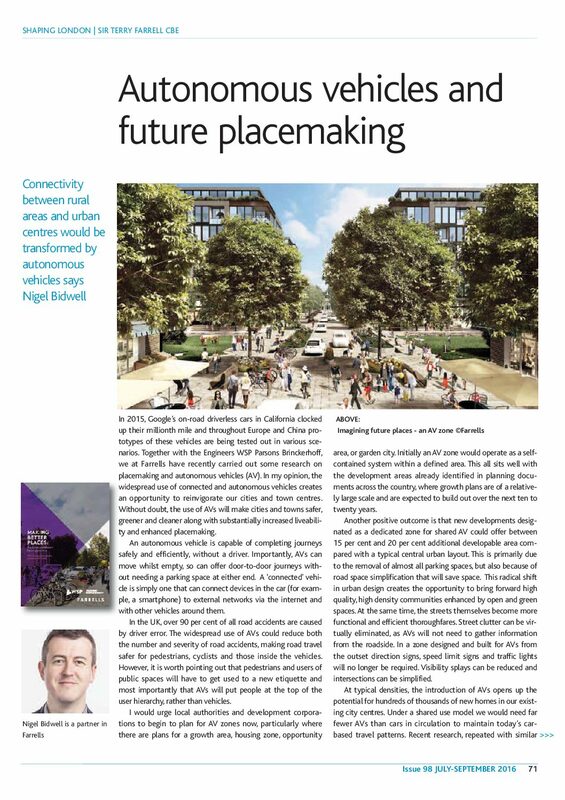 But we can plan for it, and with long term, proactive planning, we can turn the issue of growth into an opportunity for placemaking says Farrells Partner Nigel Bidwell. 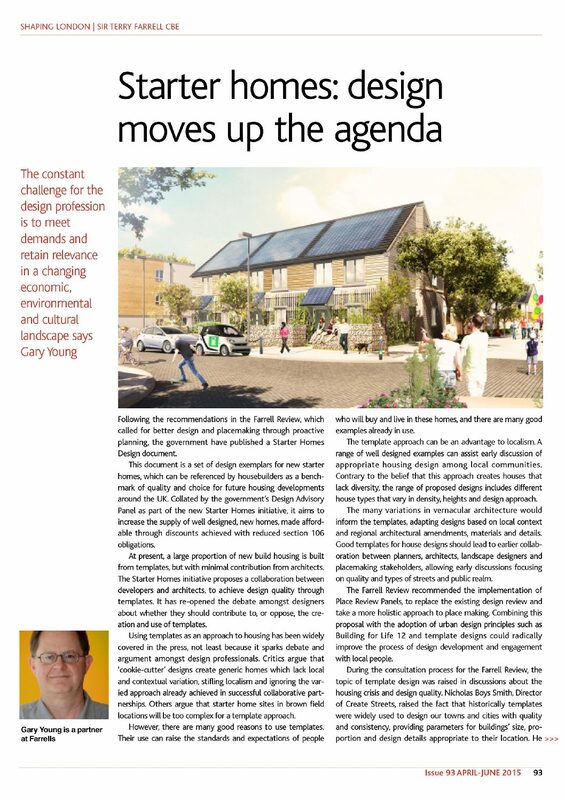 The constant challenge for the design profession is to meet demands and retain relevance in a changing economic, environmental and cultural landscape says Farrells Partner Gary Young. 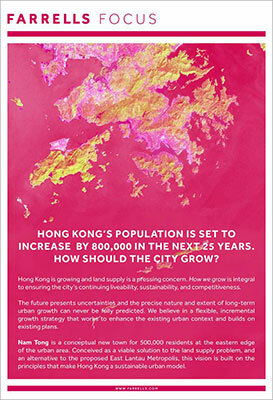 Hong Kong is growing and land supply is a pressing concern. How we grow is integral to ensuring the city’s continuing liveability, sustainability, and competitiveness. The future presents uncertainties and the precise nature and extent of long-term urban growth can never be fully predicted. We believe in a flexible, incremental growth strategy that works to enhance the existing urban context and builds on existing plans. 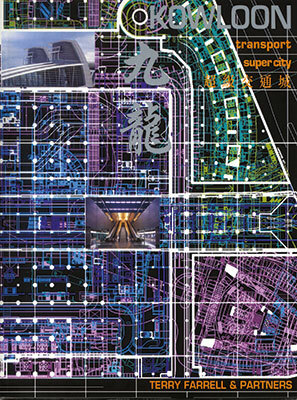 Nam Tong is a conceptual new town for 500,000 residents at the eastern edge of the urban area. 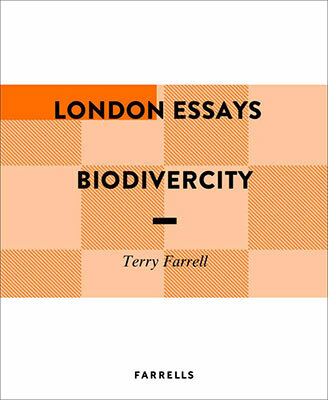 “Far from being bad for nature, London’s development can bolster London’s claims to become a National Park City.” – an essay by Sir Terry Farrell for the Centre for London’s ‘London Essays’. 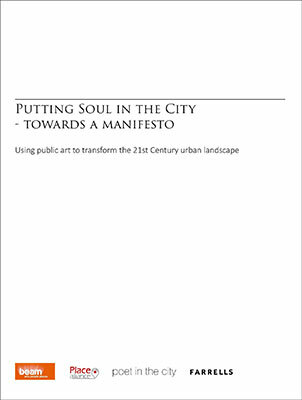 Working with Beam, Poet in the City and the Place Alliance, we looked into the role of art in place-making and urban development, as advocated in the Farrell Review. 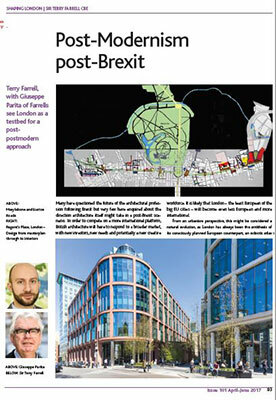 In January 2013 Ed Vaizey, then Minister for Culture, Communications and the Creative Industries, asked Farrells to undertake a national review of architecture and the built environment. 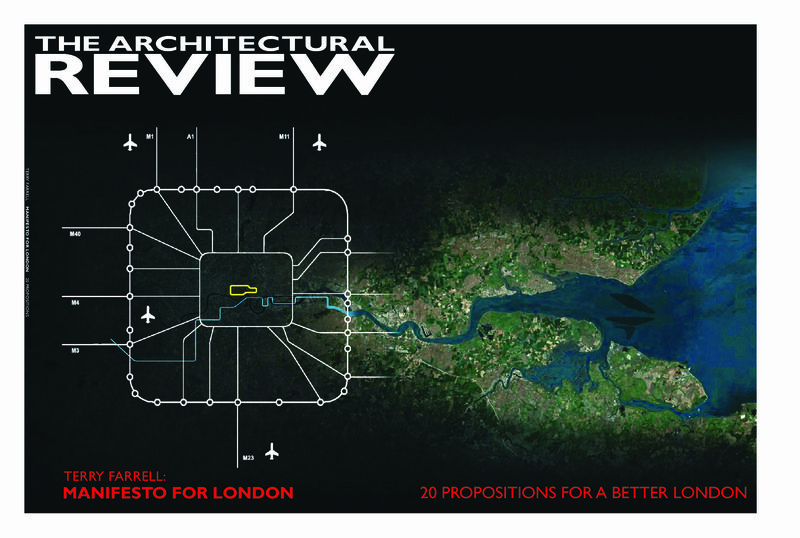 Advised by a panel of eleven industry leaders with a breadth of experience that covers education, outreach, urbanism, architecture, property and philosophy, the Review has been described as “the most thorough and wide-ranging exercise that has taken place in this sector for generations”. 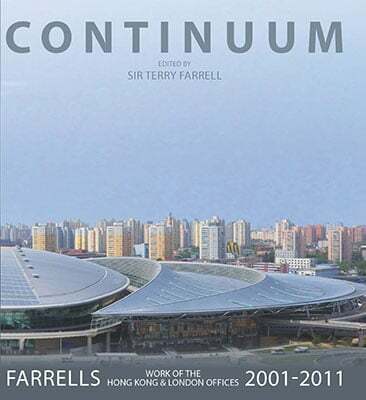 Continuum focuses on the work of Farrells between 2001 and 2011. The book includes such major works as the Home Office Building in London and Guangzhou station in China, which will be the largest railway station in the world. As well as several other major projects in the UK and China, there are also buildings and masterplans from Australia, South Africa, Singapore and India. 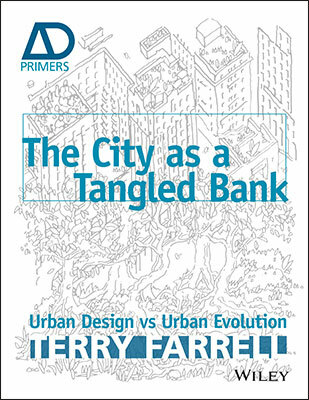 Here Sir Terry Farrell, who has built an international career as an architect-planner, encourages other planners and architects to follow the biologists—look at, learn from, and, indeed, admire the nature of the forces that drive the change, and then with humility and respect work with them to nudge, anticipate and prepare for where it takes us. 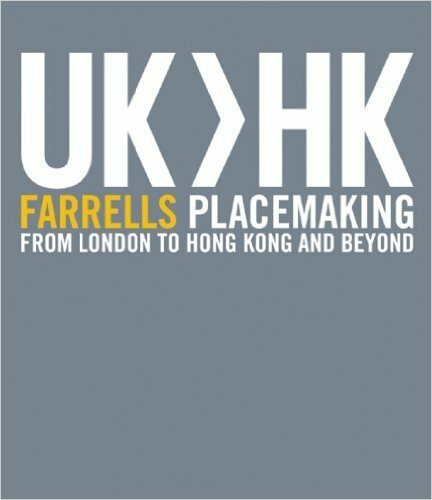 Farrell brings his considerable experience in practice to bear, elucidating his thoughts with examples from cities across the world, including Beijing, Hong Kong, London, New York, and Paris. As part of our work on Earls Court, we have carefully studied the area’s history in order to come to terms with this complex and fascinating part of London. 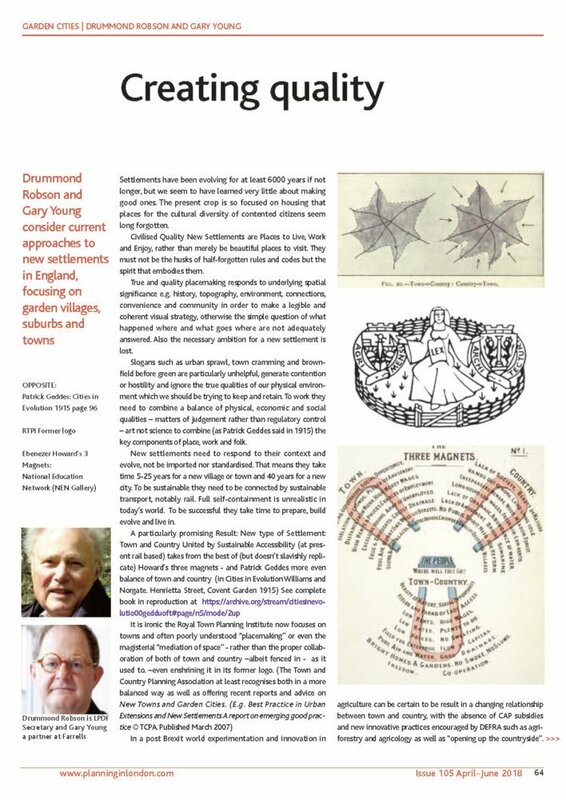 Sir Terry looks at how this long-term custodianship has impacted on the development of the fabric of the city and its strong sense of place, explaining how it is a model that we have tried to draw from in our Earl’s Court masterplan. 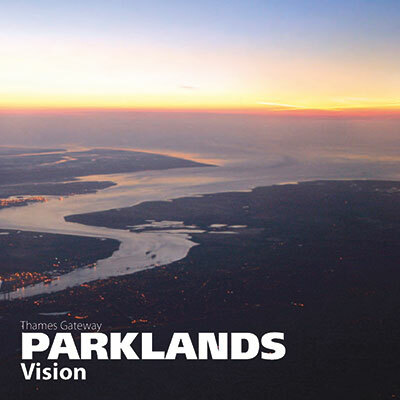 This document sets out an aspirational vision, which will guide and support improvements to the environment and define Parklands’ contribution to the UK’s first ‘eco-region’ in the Thames Gateway. 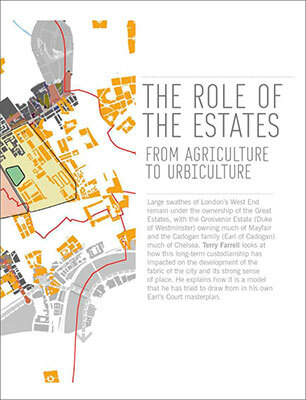 As part of our work on the Thames Estuary, Farrells created a core vision for the area in 2009, building upon the Parklands Model. 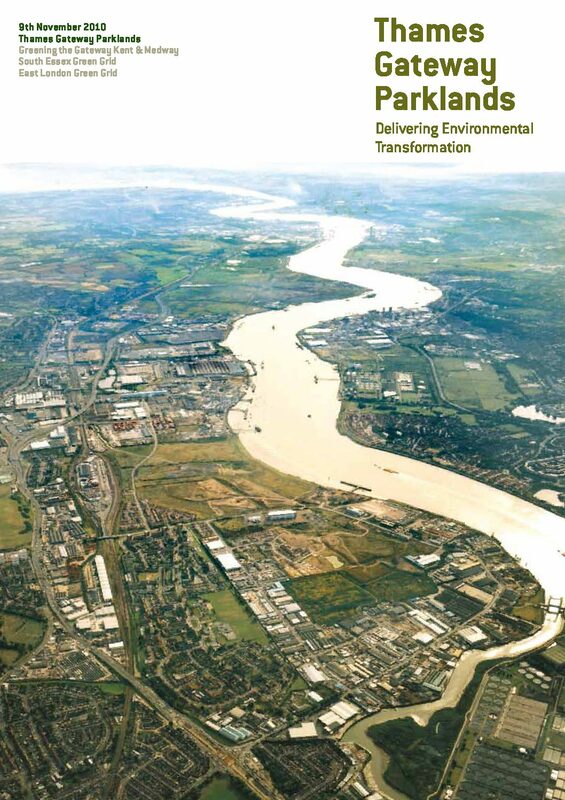 “Working together in partnership, we know that the re-development of the Thames Gateway will only succeed if we create a network of green open spaces to enrich existing and new communities, attract investment and raise spirits.” – Sir Terry Farrell, Design Champion for the Thames Gateway. Over the last 30 years Kent has seen major change. Its population has grown by more than 10% from £1.45 million in 1980 to 1.66 million today. Billions of pounds have been invested in the county’s infrastructure including over £5 billion on the UK’s only high speed rail line. 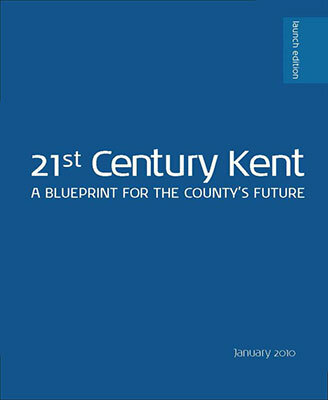 Our work builds on Kent’s powerful identity, painting a portrait of how Kent can capitalise on this investment over the next 20 to 30 years. Its aim is to describe a Kent that we are proud to hand over to future generations, one which will be enriched further and developed by constructive dialogue and creative collaboration with Kent’s District and Borough Councils, Medway Council and local communities. “We must reclaim London’s Inner Ring Road and make new pedestrian places” – a look into London’s central road networks and the expansion of the central core. Introducing this special issue of the Architectural Review on London, Terry Farrell considers the dynamic, intricate and rapidly evolving nature of the metropolis and how propositions for urban planning must respond to its unique spirit of place. 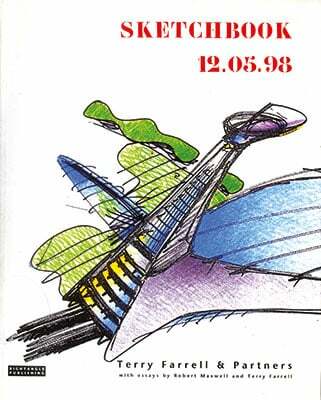 As well as the original design for TV-am, this book includes a dozen of Sir Terry Farrell’s most striking interiors, such as the Charles Jencks House, Upwood House, and Charing Cross Station. 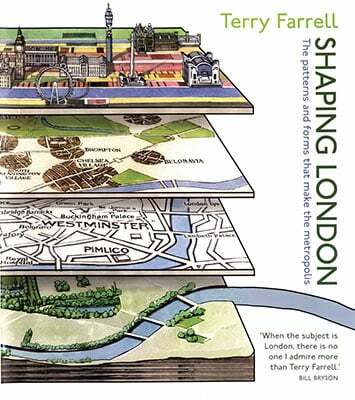 In this wholly new and dynamic view of London, Sir Terry Farrell looks beyond the contribution of individual buildings to the city. He creates a larger, more exciting frame, charting how the capital’s messy and complex shape has been hewn out of a series of layers – natural and manmade. 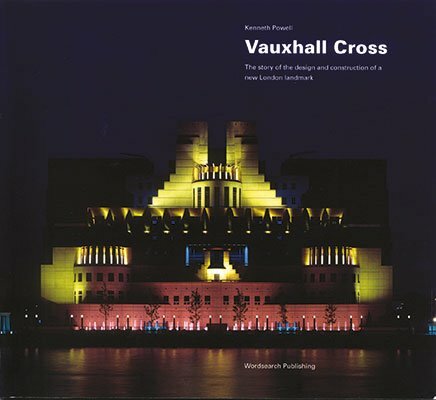 Illustrated with original sketches, maps, archive photographs and paintings, this book provides a vibrant and intriguing collage of London’s patterns and its history. 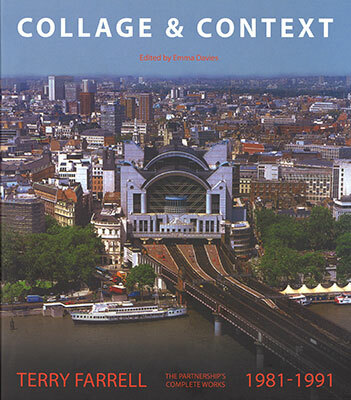 Collage & Context covers the 1980s, when the practice was founded, and features the work that established Terry Farrell’s reputation. It includes such seminal projects as Clifton Nurseries, the TVam building, Charing Cross and the MI6 building. Documenting a time of intense creative energy in one of the world’s busiest architectural offices. This snapshot of work comprises evocative drawings, models and collages, ranging from first concepts through explanatory investigations to presentation images. 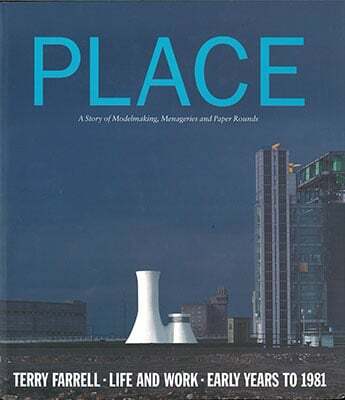 By showing the way in which ideas are elaborated, explored and developed, it offers a unique insight into the creative processes of the architect. Since establishing a foothold in Hong Kong in early 1990, Farrells have gone on to design and construct place-making buildings and railway related projects throughout the Asia-Pacific region. A collection of these projects are presented here, photographed in full colour, and accompanied by plans, elevations, diagrams and explanatory texts. London’s royal parks and palaces play a vital role: they highlight the difference between the City of Westminster and the City of London, or the seat of government and monarchy, and the seat of commerce. 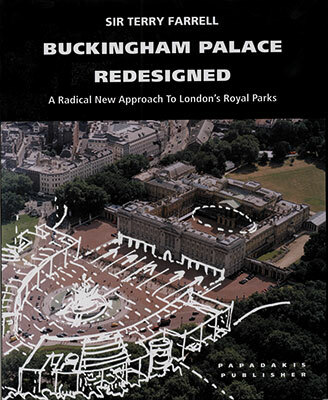 The primary motivation for drawing up these concepts on Buckingham Palace arises from the long-held belief that the Royal Parks and palaces are London’s primary public realm and virtually the only world-class public realm in the urban metropolis of this great capital city. The book celebrates Kowloon Station – a demanding project which integrates architecture, transportation and urban development. 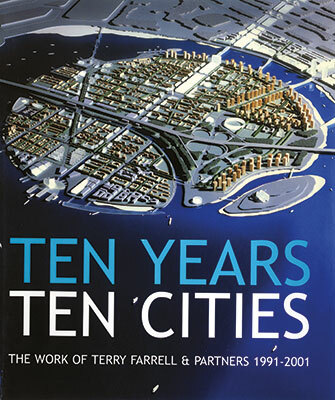 Ten Years Ten Cities covers projects between 1991-2001; each chapter is devoted to a city where we have worked on a large-scale project. 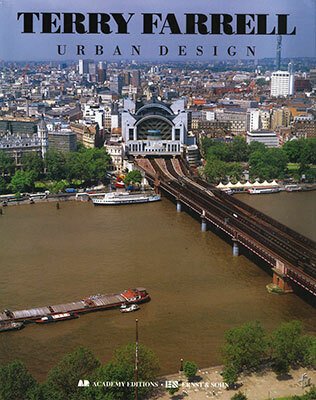 This book explores the philosophy and implementation of responding to context in creating sensitive, yet innovative and bold, interventions to the design culture of a capital. 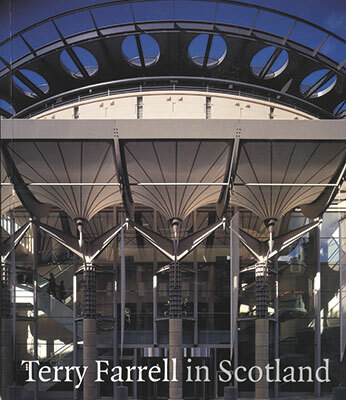 Farrells designed three major buildings and two public squares in the capital, Edinburgh, including the Exchange Financial District master plan and the Edinburgh International Conference Centre. A totally new concept in visitor attraction, the Submarium is a dramatic fusion of aquaria and state of the art interactives telling the story of the world’s oceans through time, latitude and depth. 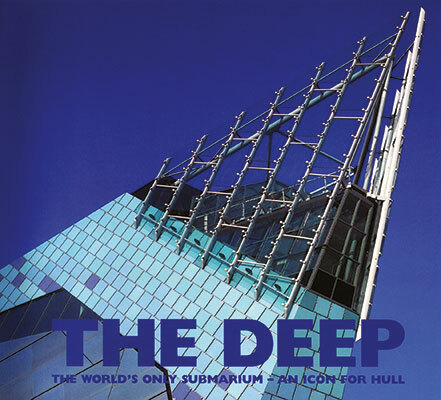 Part of the regeneration of Hull, The Deep has become an internationally recognised landmark and project the pioneering heart of the 2017 UK City of Culture. 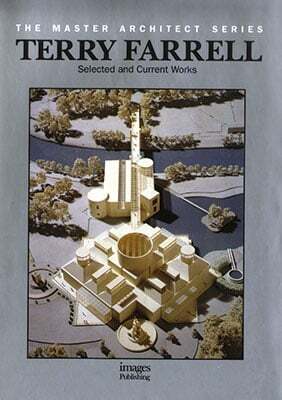 This book describes the project from conception through to completion in full-colour photos, text, and plans. The primary development at Embankment Place was a new office building occupying the air-rights space above Charing Cross Station. It was technologically innovative, involving the suspension of nine storeys of offices above the railway tracks, isolating the space from railway vibration. The resulting bowstring arch over the tracks, supported on 18 columns rising through the platforms, framed a new waterfront landmark at this prominent point on the River Thames. 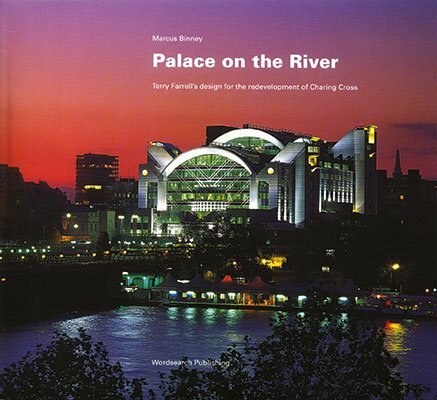 This book tells the story of its design and transformation into a landmark on the river Thames. This headquarters building for MI6, on the banks of the River Thames, is an iconic London landmark made famous by the James Bond films. The building is a group of three blocks – low-rise on the river side and medium-rise onto Albert Embankment – which are linked by glazed courtyards and atria. This book tells the story of its design and transformation into an icon. The Master Architect Series is a series of monographs on some of the greatest architects and architectural firms of our time. Urban design should be based on a number of principles: a notion of continuum with the history and traditions of a specific area, a priority given to the pedestrian and the experience of the street and a desire to create new places with an identity to encourage the return of the diversity of traditional urban life. 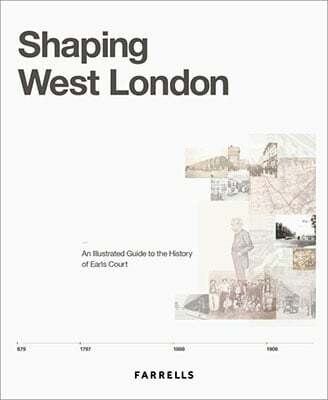 Each chapter of this illustrated book presents a series of projects within London. 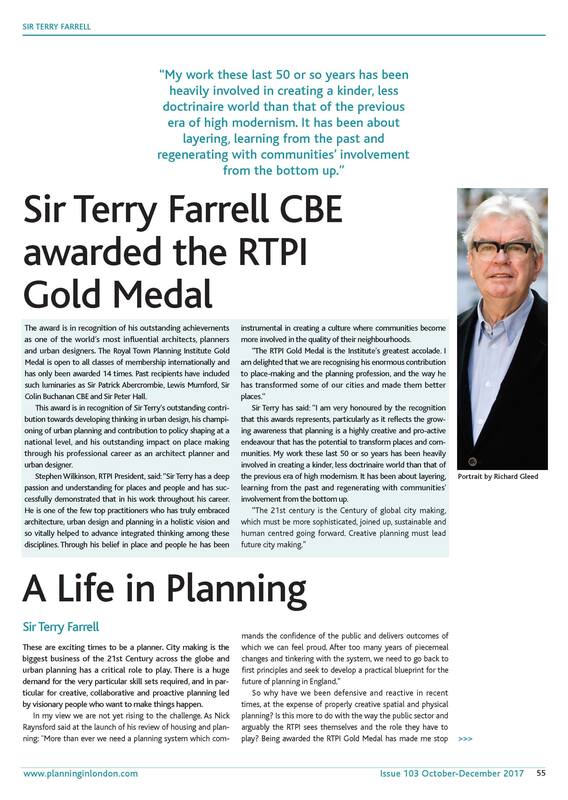 As one of the world’s foremost architects and urban designers, Sir Terry Farrell has an acute awareness of the significance of place. 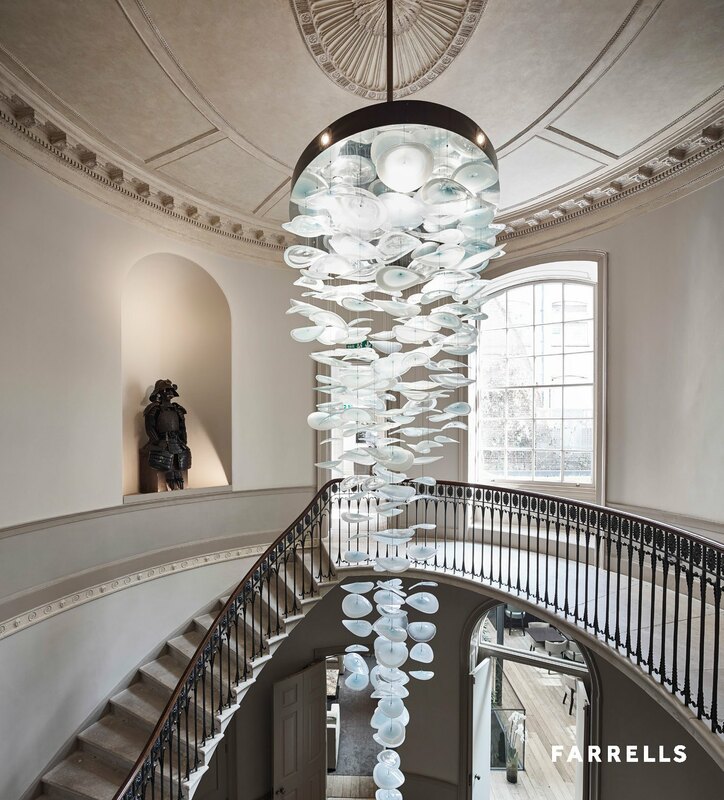 Starting from his earliest years, as a child growing up in 1940s Manchester, Farrell’s imagination has been shaped and inspired by the many cities in which he has lived, visited and worked. 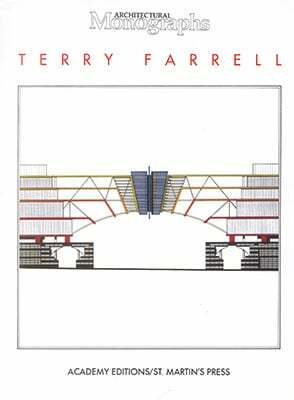 This is Farrell’s story, embracing four decades of observation of our built environment. 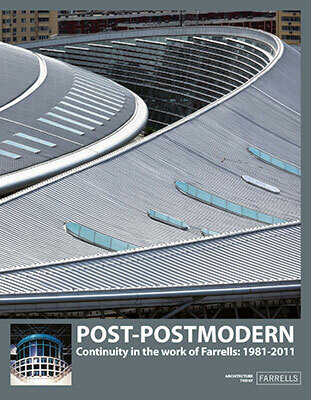 “Postmodernism was not a style: it was a period of profound change that affected all aspects of our culture, not just architecture.” – Professor Colin Fournier on the legacy of Postmodernism and Farrells work. 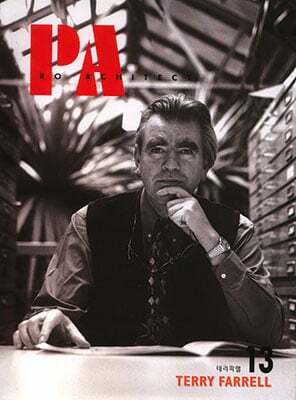 Published in 1999, the contemporarily bi-monthly Korean magazine Pro Architect focused issue 13 on Sir Terry Farrell and Farrells projects, including TV-am and Vauxhall Cross.